Hanford's Tunnel 1 has been filled in with grout to protect from further collapse. Back in May, a train tunnel at the Hanford nuclear site partially collapsed. Federal contractors have now just finished filling it up with grout. It took about 520 truck loads of grout to fill the tunnel. Crews had been doing the work mostly at night since early October. During the Cold War, the train tunnels were part of the PUREX Plant, a large plutonium processing facility. They were intended to store huge pieces of equipment that were worn out and highly contaminated with radioactive waste. The tunnels have been of great concern, because further collapse could hurt workers or throw up a plume of radioactive dust that could escape offsite. Ron Skinnarland, a manager with Washington’s Department of Ecology, watches over much of Hanford’s cleanup including the tunnels. But now that this grout’s in place, it might be difficult to remove safely. 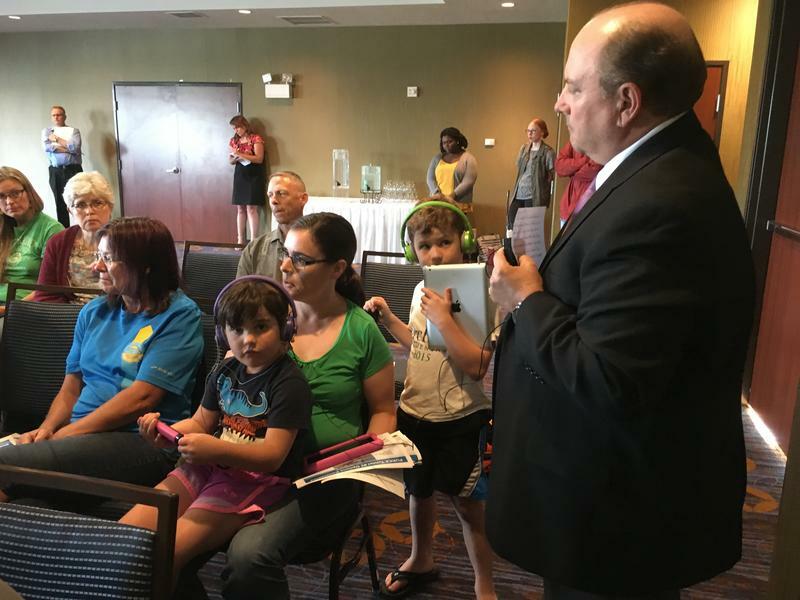 Northwest tribes—especially the Yakama Nation—are concerned that the site will linger without further cleanup. Federal officials expect to have a public plan for the second tunnel of waste in early December. 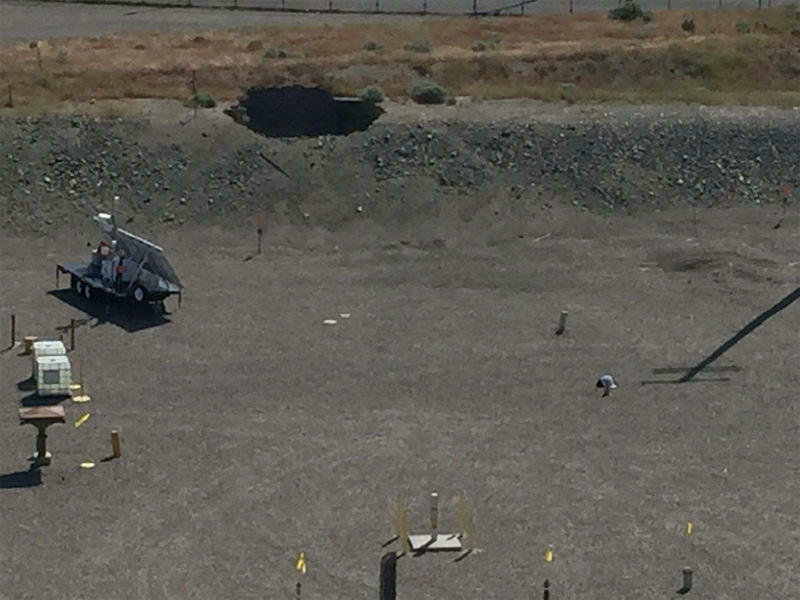 What Is Actually In That Caved-In Tunnel At Hanford? 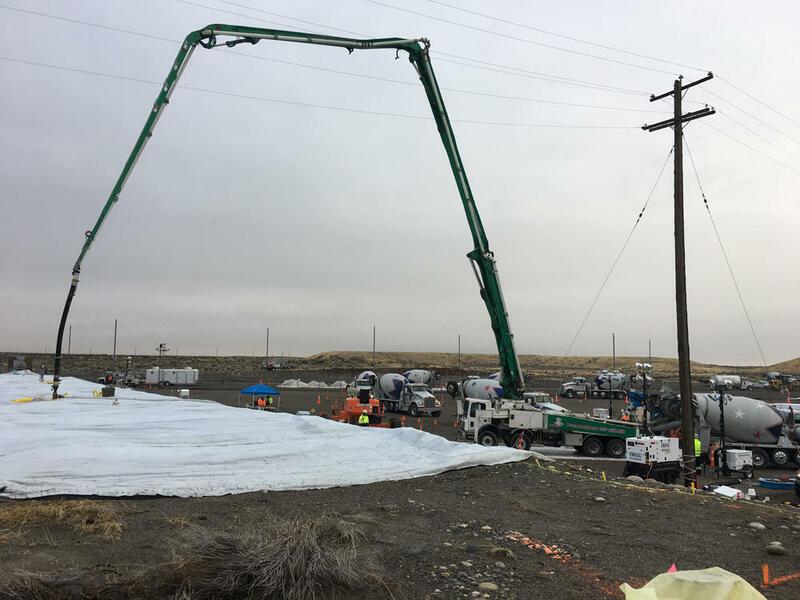 Tuesday morning an emergency response was triggered at the Hanford nuclear site when a hole was found in the roof of a buried tunnel nearby a mothballed plutonium processing plant. 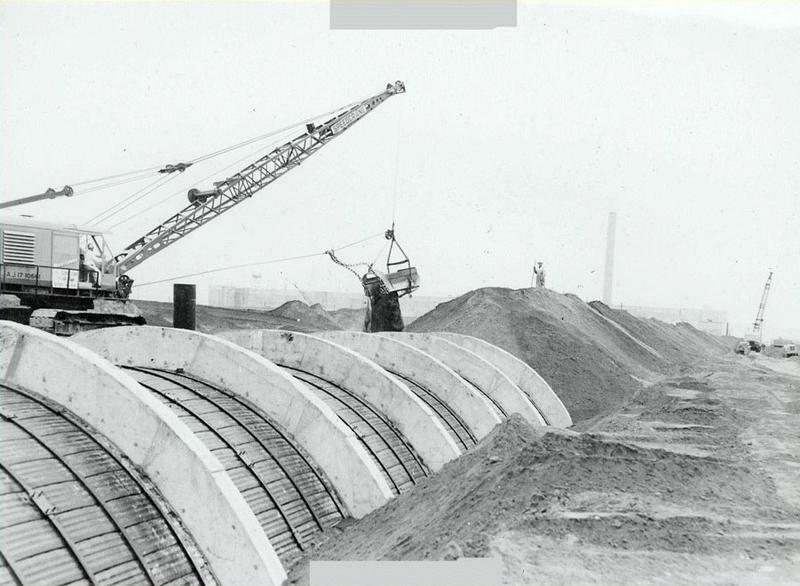 The tunnel, constructed in the haste of the Cold War, was about 360-feet-long and built out of timbers and concrete. So what exactly is in that tunnel? 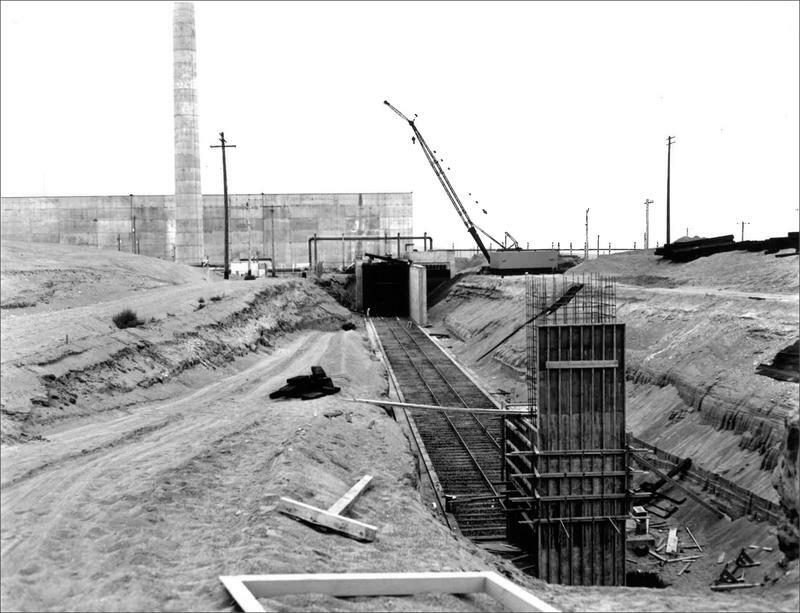 Will The Stout Grout Filling Hanford's Tunnel Ever Be Cleaned Up? This spring, an underground train tunnel full of radioactive waste was discovered partially collapsed at the Hanford Site in southeast Washington state. Now, federal contractors are prepping the site to fill the unstable tunnel with grout. They’re planning to start Tuesday night. 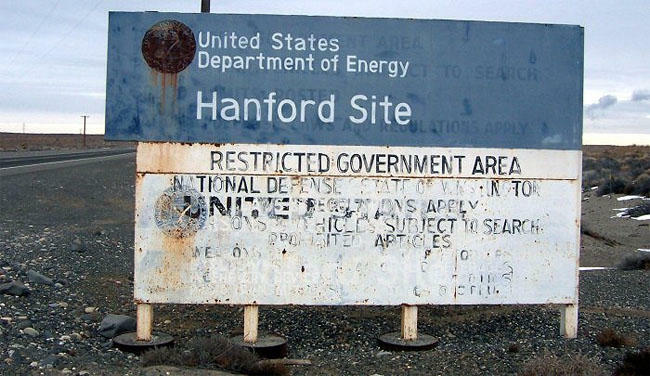 Washington state officials have been waiting to see how the U.S. Department of Energy plans to deal with an unstable tunnel filled with radioactive waste at the Hanford nuclear site. Tunnel 2 is filled with highly-radioactive equipment leftover from a plutonium plant, and the feds say it's also in danger of collapse. 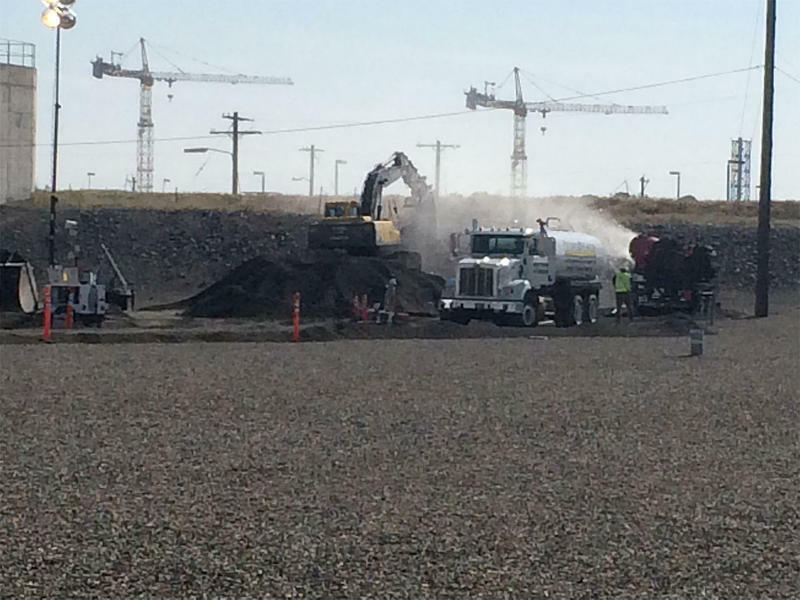 The U.S. Department of Energy issued an emergency alert Tuesday morning at the Hanford site north of Richland, Washington, after a tunnel at a radioactive cleanup site caved in. Workers at a former chemical processing plant were evacuated and thousands more across Hanford were directed to take shelter indoors. State and federal officials said all workers were accounted for, there were no injuries and no indication of “release” of radioactivity into the environment. By early afternoon, the employees taking shelter were given permission to go home except those needed for emergency response.